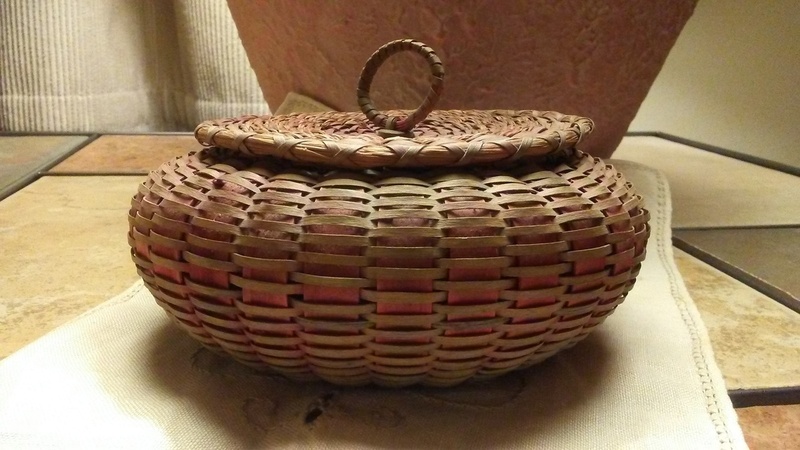 This is a very old, very nice looking Urchin Basket that I just added to my ever growing Native American basketry collection. I love this shape and every time I find another Urchin basket, I have to have it. 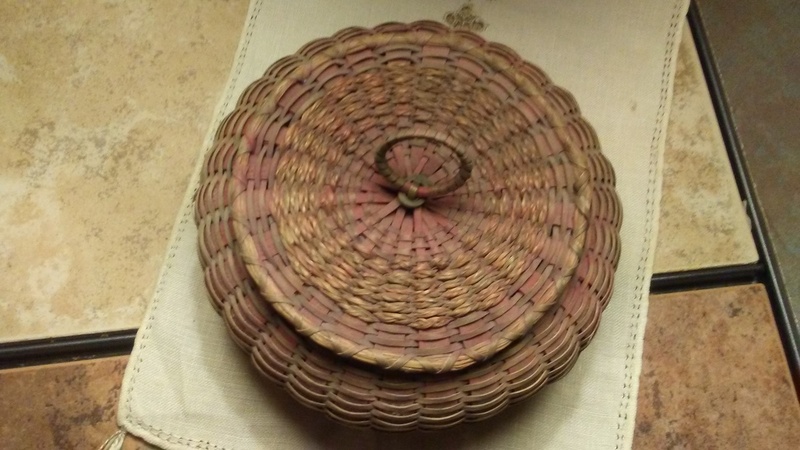 This basket was probably made by a member of the Penobscot tribe, the shape of this basket is pretty thin as far as the body goes but the lid has criss crossed lashings around the rim like the Passamaquoddy do with their baskets. I am going to stick with Penobscot on this one though. 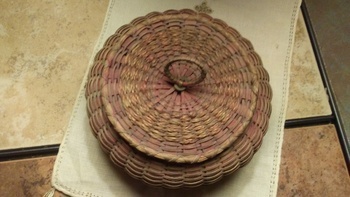 The basket is made of splints fashioned from the Black Ash Tree, and and the lid has thin braids of Sweet Grass woven in to it along with the lid and body having splints measuring one eigth of an inch wide. It is 2 and a half inches in height and 5 and a half inches in diameter at the widest spot in the middle of the body of the basket. 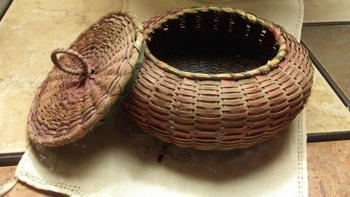 The splints have been dyed Red and Blue that can be seen brightly colored on the inside of the basket and the bottom of it. 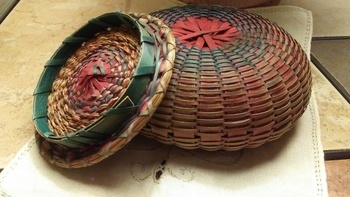 It also shows the braided Sweet Grass is also dyed Red which is rare, I only have a couple of these baskets where the Sweet Grass was dyed a color or two.